If Parton hadn’t recorded this herself first, she could’ve pitched it to Loretta Lynn, who might’ve elevated this to something a bit above purely ridiculous. As is, it’s a decent novelty record that’s good for a smile the first time around, but the charm wears off soon enough. 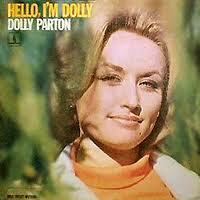 Not a particularly interesting song, at least not by Parton standards. Despite being a bit silly, this song will always get a mention when talking about her career.